After my personal experience with traditional couples counseling that led to divorce years ago, I knew there had to be a better way to fix any marriage for good. So I created the Rising Love Marriage Repair process. It works quickly and has proven itself to be far more effective than traditional couples counseling. Having a great marriage is a learned skill, no different than flying a plane. All you need is an expert to teach you. If you didn’t see an affectionate, loving, and communicative marriage demonstrated for you by your parents, you are likely to struggle. Unfortunately we now know that children of divorce and unhappy marriages have higher divorce rates today. That’s not a legacy anyone wants to leave behind. I teach people all over the world what to do to fall back “in love” again and resolve their conflicts, restore trust, have heart-felt communication, and increase intimacy and passion. Divorce and unhappiness no longer have to be an option. 1. Stop the Decline of the Relationship – I’ll teach you exactly what to do and what to stop doing. Removing the mistakes will quickly improve your situation. 2. Restore the Feelings of Being “In Love” – This is the connecting glue that holds the relationship together, and nothing can be resolved when people feel disconnected from each other. It’s an empty relationship without this. 3. Address the Real Issues – The source cause of couple struggles are often misunderstood. Other experts can waste precious time chasing symptoms. This is why traditional couples counseling doesn’t work for many people. My process works immediately to address source causes of conflicts and disconnect. The Rising Love Marriage Repair Process™ is remarkably effective in very short time frames, frequently even when other counseling methods have failed. ⦁ Most of my conversations are with the individual partners because that’s what works best. In the first 30 days, I typically have 2 conversations with each individual and 1 couple conversation. This allows the real issues to be voiced safely and addressed quickly. ⦁ I tell each partner exactly what to, what to stop doing, and why. Once you know what to do, you will always know what to do. I empower people to learn these skills for a lifetime. the relationship. We all bring baggage into the marriage. Some of it needs to be let go. I help people do this. ⦁ Everything that an individual partner tells me is kept confidential from the other partner. This allows the real issues to be disclosed and resolved right away. ⦁ I address the source cause of conflicts. No time is wasted chasing symptoms. This is the biggest mistake other experts make leading to more couple separation. The Rising Love Marriage Process™ is the most effective answer to any unhappy marriage. My track record of success is unmatched, and I offer a 100% money back guarantee for the first 30 days. I’m the Author of international seller, The 90-Minute Miracle (translated into 4 languages), and the creator of The Rising Love Marriage Repair Process™, a proven, time-tested system that has helped hundreds of couples fix their marriages, and fall back “in love’ again. I’m a Peak Performance Expert and founder of PEAK Results Coaching, Today I’m considered one of the leading experts in divorce prevention, and marriage turn-around. I hold Certifications in Strategic Intervention and Marriage Education and have 25 years of conflict resolution experience..
I’m a trusted advisor to Fortune 500 Executives, Psychologists, Business Professionals, Attorneys, Surgeons, Professional Athletes, Emmy Award Winners, and Therapists. If you value expert guidance let’s talk. You’ll find my process to be easy to understand and simple to do. Many people seek my guidance after multiple attempts with failed couples counseling and I am often able to solve situation others cannot. Even the most complex marriage issues can usually be resolved well within 90 days. I work with individuals and couples in person, and by Skype all over the world. I’ll give you direct answers to your relationship challenges. You’ll learn exactly what you need to know to begin to turn your situation around. 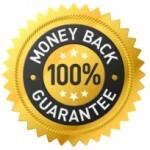 I offer a 100% money back guarantee. My method works. If you feel that it doesn’t, I will refund your money 100%. Sign up to talk with me today. To receive your complimentary and confidential Rising Love Strategy Session, please fill in the form below.